The word 'graduation' comes to us from the Latin root, gradus, appropriately meaning 'step'. While most of us graduated long ago, steps are particularly important here at Purdue - evident if you take a walk by the front of Armstrong Hall where Neil's famous first steps for mankind are firmly planted for us to model. As we ease into the summer months and take a brief respite, let us take some time to measure our steps. Over the last year, the Life Science Institutes have made some notable advances: new core facilities (check out the open house for the Controlled Environment Phenotyping Facility this afternoon! ), new hires, new resources, and new collaborations, are all actively enhancing our community. The renovation of the top two floors of the Hall for Discovery Learning are nearing completion, and we look forward to having a physical home (and a nice one at that!) for PIIN and PI4D this summer. We'll continue to move forward, in the coming year by steps, and perhaps some more aggressive leaps. In a communication earlier this week it was disclosed that for Purdue's 150th celebration, one of the Topics of emphasis is "Giant Leaps in Health, Longevity, and Quality of Life", a pursuit worthy of us all. As the 150th celebration begins to take place, we invite you to participate in the greater leaps Life Sciences will be taking to move Purdue forward. We are excited to announce our 5th Annual Drug Discovery Symposium will be held on Friday, September 28th. Please save the date and watch for more detailed information coming soon. Additionally, PIDD's 2nd HTS facility RFA can be downloaded here. Applications for this $15,000 facility credit are due by 5:00 p.m. TODAY April 27, 2018 to Karson Putt at puttk@purdue.edu. Dear friends of PI4D, as we wrap up the semester, I am reminded that summer is just around the corner. This year, PI4D has been working diligently to forge connections with organizations to establish undergraduate internship opportunities. If such an opportunity exists in your laboratory, please contact Tommy Sors (tsors@purdue.edu) and let him know about it. 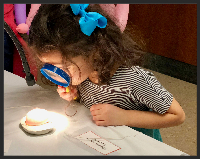 We want to maximize exposure of those opportunities for our young investigators and help them continue to develop their skills while contributing to your programs. Wishing you a great end to your semester and much success for your summer plans. Disease Diagnostic INventors Challenge – June 28th – June 29th; PI4D seeks to catalyze the development of novel disease detection technologies through a competitive application process that incentivizes the formation of multidisciplinary teams of clinicians, life scientists, engineers and analytical chemists. Team Building Day event on June 28th and the Proposers Competition Day event on June 29th. The Team Building Day set of events will highlight investigators’ expertise and laboratory capabilities that are available to address clinical needs presented by medical and veterinarian experts. Assembled teams will have the opportunity to propose their technology idea to a panel of judges at the Proposers Day Event (06/29). Team presentations will be ranked and winners will be selected on the same day. Check the website for registration information. activities. In this photo, a young girl examines a chicken embryo. May 1:Neuroscience & Physiology Seminar: "Circuit organization of motor cortex"
May 1:Neuroscience Seminar: "Understanding and optogenetic control of signaling pathways involved in P/Q-type channel and serotonin receptor mediated diseases"
Reminder: Please add the ‘Cc-participants@lists.purdue.edu’ email address to your spam filter whitelist. If you have any questions on how to do this, please contact John Fry, johnfry@purdue.edu or 496-3993. Kang-Yu Hsu, Industrial Engineering, Second Place in Prevention and Wellness was awarded at the “Health and Disease: Science, Technology, Culture and Policy” graduate student competition. The Regenstrief Center had a great turnout for the 2018 REMEDI Pump Collaborative Conference held in the Big 10 Conference Center in Chicago on April 18 - 20, 2018. It was the largest attended conference with over 80 participants and 20 speakers. Thanks goes to Rich Zink, Managing Director, REMEDI Operations.